What are Intraline Triple Threads? 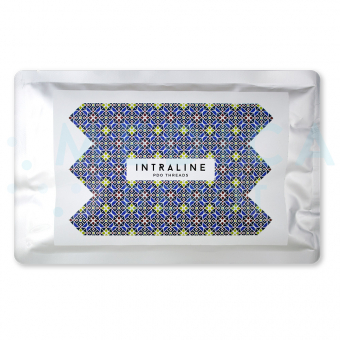 Intraline Triple Threads are used in a minimally-invasive procedure to help achieve tauter and lifted skin. These threads are made of three PDO (polydioxanone) filaments that are twisted together for increased tensile strength and heightened holding power without a bulky silhouette of cogs or barbs. Intraline Triple Threads are the strongest smooth sutures available due to the fact that the suture consists of three filaments. This feature, combined with its slim outline, makes it suitable for cases where extra lift is needed in regions with delicate or thin skin, such as the forehead or under-eye area. Intraline threads are used in a non-surgical skin rejuvenation procedure commonly referred to as a thread lift. Using absorbable threads inserted under the skin, areas of laxity and sagging are mechanically repositioned. The result is a subtle yet noticeable lifting and tightening effect. These threads also improve texture and tone through the stimulation of new collagen production. Intraline Triple Threads are PDO threads that are composed of three filaments wound together and fastened by a uniquely designed stopper. The filaments are made of polydioxanone, a resorbable and biocompatible material that is a common material in surgical sutures and other medical applications. The TR2650 filaments have a gauge size of 26G, a length range of 50–70mm, and a USP of 7-0. Only a certified medical professional may utilize Intraline Triple Threads. Prior to the procedure, ensure patient eligibility and stability. Sterilize the planned treatment site. Remove the protective film from the PDO suture with the needle carefully. Introduce the needle into the prepared area until the needle is inserted all the way in. Remove the needle and keep pressure on the needle puncture hole. Intraline threads are administered in a thread lifting procedure that normally takes about 30 minutes to 120 minutes to complete. 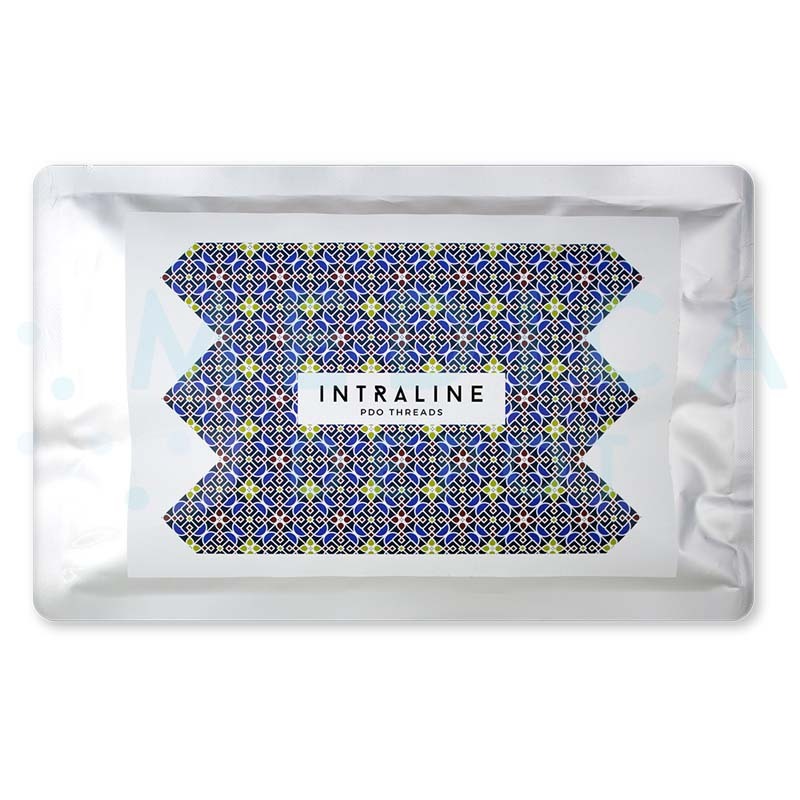 Intraline Triple Threads are used in non-surgical brow and eye lifts and can be used to redefine the jawline, lift the midface, and fix sagging skin on the neck. In general, the results typically last for up to 18 months, depending on a variety of factors, such as the patient’s skin type and inherent aging processes. What is the expected recovery time for my patients? Most patients will experience mild swelling or redness that should settle within a few hours after the procedure. Other than that, the patient is free to return to their daily activities. What are the most important tips for my patient's safety before I use this product on them? Treatment with Intraline threads have been shown to be very safe; the material used in these threads is commonly found in most medical applications and produce very few side effects. This aesthetic treatment works best in patients that have mild to moderate skin laxity and mature skin (patients aged 30 to 50) and who prefer to treat their cosmetic concerns in a non-surgical way. Thread lifting should not be performed in patients that have disorders like hepatitis B and C, autoimmune conditions, or HIV. Similarly, patients who are on anticoagulants, who are pregnant or lactating, or who are prone to developing skin keloids should not undergo this procedure. Finally, patients who have an ongoing infection at the putative treatment area(s) should delay their procedure until their condition resolves. What is unique to this product? Thread lifts are rising in popularity due to their short procedure time, minimally invasive nature compared to surgical methods, and ability to provide immediate results that only get better with time. What are the most common side effects from using this product? Intraline treatments are generally regarded as very safe, and any side effects the patient may experience are usually limited and mild, transient injection-related reactions like bruising, pain, swelling, or erythema at the injection site. Rarely, more serious adverse events that may occur include thread migration, post-operative skin folds, or superficial placement of sutures that result in visible threads. Who can inject this product? PDO threads should only be administered by a healthcare professional who is trained to perform the procedure.